Lost or stolen: Your teen’s card may have been lost or stolen — or it could just be buried under her massive pile of dirty clothes on the floor. You don’t know which just yet. So lock the card to be safe while you wait for her to clean her room. Bwahahaha...not! Anyway, if it magically turns up, just unlock it. 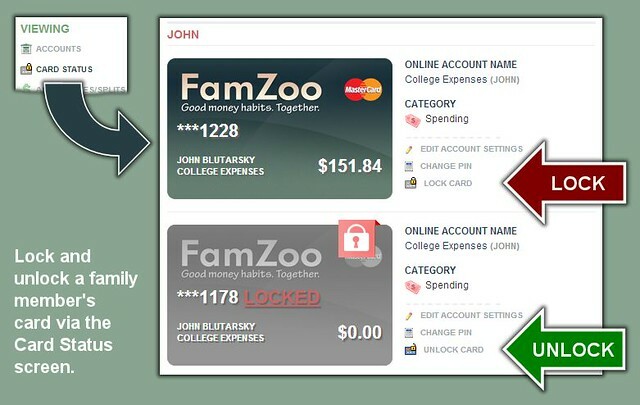 Suspicious activity: You or your teen notice some card activity notifications that you don’t immediately recognize. Lock the card until you’re both comfortable there’s nothing fraudulent going on. On break: You know your teen won’t be using the card for some period of time. As an extra precaution, you can lock the card during the downtime. Grounded! Uh oh, your small frontal lobed teen has gone off and done something that really makes your parental head want to explode. Nobody likes to be the bad guy, but accountability is a core value in your family and it’s time to ratchet back some privileges. Car keys: confiscated. Internet access: wifi password changed. Prepaid card: locked. It’s a grounding full court press. Over budget: your teen has gone a bit rogue on the spending this month, and he’s only a few days into it. Time for a little enforced delayed gratification for a few days to get things back on track before the funds are all gone. Have you found other reasons to put your teen’s prepaid card on lock down? Do tell!